When one of your best friends is getting married, its time to step up to the plate! My friends are getting married at the end of the month and to kick off their wedding weekend they are sending all their guests of a bar crawl in some of Chicago’s best drinking neighborhoods. Pretty awesome idea, right? 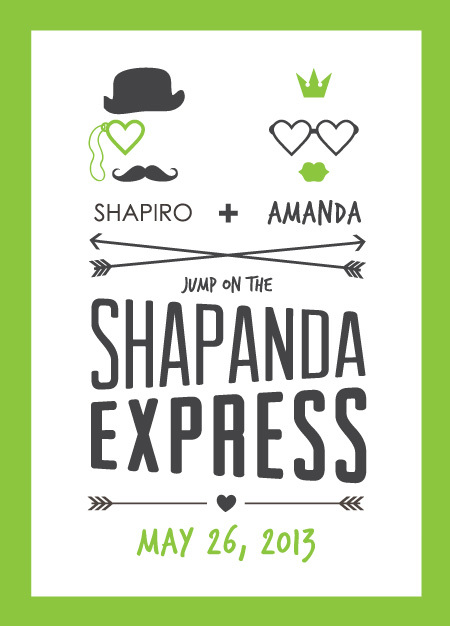 Even better, it’s called the “Shapanda Express!” Enjoy!